Meet our New Officers! Register for the June Wounded Warrior Symposium! The DC Metro BLN Board of Directors is pleased to announce the following officers elected at our Annual Meeting on May 22 at Gallaudet University. The Board also wishes to express our deep appreciation to Myra Wilder, Marriott International, for her past two years of leadership as Chair. Note that we are adding special columns or corners to address member needs: If you have an interest in submitting an article, we'd like to hear from you! Please join us on June 20th program at General Dynamics for our 6th Annual Wounded Warrior Symposium! What are the barriers to hiring veterans (with or without a disability)? What strategies have you put in place to overcome them? What are you doing with your culture to address veterans with PTSD and TBI? Do your employees and managers know the signs? What organizations provide follow up support to the employee post hire? Bring your organizational knowledge to this robust dialog! If you want to host the November program, please contact Katherine McCary. 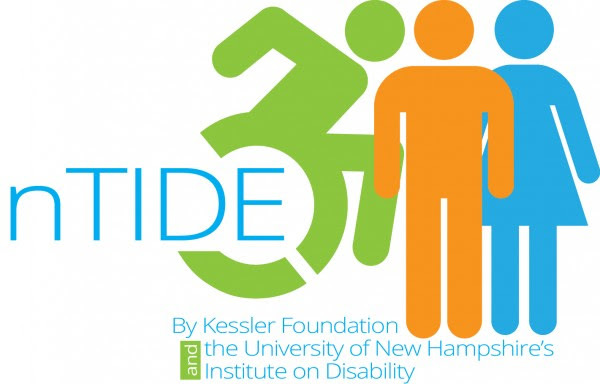 Our programs feature the Host's Disability Leadership, a keynote speaker and a Share Forum. If you have suggestions for Webinar Speakers or 2017 Gala Speakers, please let us know!! Effective 2017, Membership Dues may be combined with Gala Sponsorship* for ONE combined annual invoice! Contact us to receive an invoice! * The 2017 Gala will continue the work of the Millennial Employer Collaborative! Stay tuned for details! Sponsors receive Gala tickets and 2018 Program Passes. We are adding a new discussion board on Community Partners and want you to share your thoughts! All members have access to the Discussion Board where they can comment on topics including veterans, accommodations, Millennials, community partners and accessibility. Or add your own topic and start a discussion! My name is Christopher Gaines. I am a 24-year old graduate student and I work as a management and program analyst in the federal government. In my job, I run a nationwide program focused on hiring students with disabilities. Additionally, I work on a special project with senior officials, which allows me to use my research skills and knowledge to improve systems in the federal government. The legislative proposal I drafted is currently going through the federal review process. If successful, the proposal will drastically impact the military workforce. In my days as an undergraduate student, I started on the path to becoming a well-versed and passionate advocate for the disability community. Two students and I founded the University of Maryland chapter of Delta Alpha Pi (DAP). DAP is the only collegiate honor society for students with disabilities. Eventually,I found myself thrust into the spotlight as the president of the honor society. Earlier still, in high school, I excelled in an engineering magnet school program where I graduated in the top five percent of my class. Also, for my senior project,I developed an assistive shoe device for persons with musculoskeletal problems. This invention won first place at the state level for Engineering Design. In all honesty, I did not initially want to be a leader. I did not want to have the responsibility of representing groups of people, but throughout my life, I found myself doing just that. One way or another, I ended up in a position of leadership, advocating for or providing support to those in the disability community. Those like me. My knee-jerk reaction to resist these tasks was understandable. Before all of this, and even during these events, I was just a young man with a distinct gait, articulate speech, and reserved personality who wanted nothing more than to not stand out. I wanted to walk into a room, and matter just as much as the able-bodied person before me. Unfortunately, my disability seemed to matter so much more. Stares. Comments. Poor treatment. I endured it all,and it still haunts me now. Years of these kinds of uncomfortable situations taught me that I will never be the person who walks into a room without making a scene. My body makes a scene by design. Cerebral palsy affects me in ways I cannot hide, whether I would like toor not. Disability rights advocacy often focuses on ‘inclusion’ and its pros and cons. Should society force the able-bodied population to accept mainstreaming of those with conditions we label as having disabilities? Whether you are in one camp or another, the fact remains that stories like mine are all too common. Children who are taught that it is not okay to be who they are by natural design feel the pressures of ostracism, and often curse their physical states. These children grow up to become adults who know the pain of being different in an intolerant world. No matter what their knowledge, skills,abilities, or wonderful personalities, often individuals with disabilities are reduced to mere visible traits. Am I my awkward gait? Is a blind woman her absence of sight? No. We are much more. Herein lies the problem. I have risen over the years from a design team leader, to a national honor society chapter president, to a position whereI can now affect change on a huge scale through my position in the federal government. I hold, in many respects,the very power I once rejected. All of this at my fingertips, and it almost feels meaningless. Change can never come fast enough for children who grow up different,feeling that there is something wrong with them for that reason. My experiences and pain fuel my desire to help those going through what I went through, and what I still deal with today. All the achievements I have attained over the years have not removed this weight from my shoulders. Society still sees me as somehow wrong -still sees my disability as a taboo subject. Premature judgment is indeed not something you can achieve your way out of, or else I would have reached that point by now. My achievements feel meaningless because I am still that kid who just wants to be me. I don’t have a choice about whether I stand out. I am the spectacle, the modern circus attraction, the unheard voice. One in a sea of many. I am still that child who had no choice about whether he stood out. However, I am an advocate so that one day, others might have a choice. So, I continue to achieve in hopes that my efforts will make this world even a modicum more tolerable for the next person like me. The next child. The next leader. The next achiever. Christopher Gaines is a USBLN Rising Leader that as part of that program is currently being mentored by one of our Board Director's Eduardo Meza-Etienne. A recent article in Customer Think said, When today’s consumer has questions about your product, it is no longer acceptable to wait for the answers— they must be addressed in real time or the customer will turn to the next readily available and better option. The article then goes on to list 13 things a brand can do to improve the customer experience, but none of them address web accessibility or even mention people with disabilities. That’s a huge oversight for any marketer. The truth of the matter is that when a website is built to meet WCAG 2.0 guidelines, it gives people with disabilities, who use assistive technology like screen readers, the opportunity to seamlessly navigate the digital space. When these customers aren’t frustrated by their digital experience, it’s easier for them to do business with you. The purchasing power of people with disabilities is enormous. It’s estimated that there are more than a billion people globally who identify as having a disability. Add in friends and family and that number jumps to 2.2 billion. These two billion people have an estimated spending power of five trillion U.S. dollars. Knowing those numbers now, it makes sense for organizations to want to provide that seamless customer experience in the digital space. Here are some more numbers: more than eight in 10 people with disabilities have chosen not to give their business to a service provider because of barriers; poor web accessibility is one reason cited. When customers have a frustrating experience with a brand’s website, they walk away. People with disabilities are looking for a seamless online solution, and they are willing to spend their money with brands who provide a consistent online experience. Providing a truly delightful experience is more than adhering to the WCAG 2.0 Level A, AA and AAA guidelines and standards such as the Americans with Disability Act (ADA), Section 508, Accessibility for Ontarians with Disabilities Act (AODA), Air Carriers Access Act (ACAA) and Communications and Video Accessibility Act (CVAA). That’s just the start. A site that can call itself accessible provides a customer experience that goes beyond the standards. It takes the steps to accommodate people by ensuring that everything on the site – content, web browsers, media players, assistive technology, automated testing solutions, authoring and evaluation tools – is geared towards accessibility. One of the ultimate goals is to convert customers from buyers to advocates – the ones who love your brand enough to talk about it to other. That’s marketing that money can’t buy, but it can be earned. A customer who has been referred by another customer has a 37% higher retention rate according to Deloitte. That’s because customers trust other customers. It’s time for brands to create an engaging customer experience to delight customers, and convert them into advocates. The benefits are obvious: happy customers, new customers, better retention, less money spent on attracting new customers and a better bottom line. The growing market and spending power of people with disabilities should encourage marketers to ensure their brands are disability-friendly. With legislation to make organizations accountable and the increasing role of the internet in people’s lives, ensuring a brand is disability-friendly is just good business. Apprenticeship works for job seekers looking to punch their ticket to the middle class and for businesses seeking skilled workers who can thrive in the global economy. This video series features apprentices with and without disabilities (Recruits) and their apprenticeship sponsors (Sponsors) in high-growth industries like information technology, healthcare, and marine engineering. These apprentices and their sponsors show how #ApprenticeshipWorks for them and how it can work for other job seekers and businesses across the country. #ApprenticeshipWorks for everyone. Videos are available in English and Spanish with full captioning and audio introduced versions. Watch the videos below to see how #ApprenticeshipWorks for Recruits and Sponsors. The Americans with Disabilities Act (ADA) Amendments Act and regulations from the Equal Employment Opportunity Commission refocused attention on workplace accommodations by broadening the definition of disability; more coverage means more employees will likely be entitled to workplace accommodations. This increased attention has some employers concerned about the costs of providing job accommodations. However, a study conducted by the Job Accommodation Network (JAN), a service of the U.S. Department of Labor’s Office of Disability Employment Policy (ODEP), shows that workplace accommodations not only are low cost, but also positively impact the workplace in many ways. The JAN study has been on-going since 2004. JAN, in partnership with the University of Iowa’s Law, Health Policy, and Disability Center (LHPDC), interviewed 1,182 employers between January 2004 and December 2006. In addition, JAN, in partnership with the West Virginia University School of Social Work (formerly School of Applied Social Sciences), interviewed 1,157 employers between June 28, 2008, and July 31, 2016. Employers in the JAN study represented a range of industry sectors and sizes and contacted JAN for information about workplace accommodations, the ADA, or both. Approximately eight weeks after their initial contact, the employers were asked a series of questions about the situation they discussed with JAN and the quality of the services JAN provided. The study results consistently showed that the benefits employers receive from making workplace accommodations far outweigh the low cost. Employers reported that providing accommodations resulted in such benefits as retaining valuable employees, improving productivity and morale, reducing workers’ compensation and training costs, and improving company diversity. These benefits were obtained with little investment. The employers in the study reported that a high percentage (59%) of accommodations cost absolutely nothing to make, while the rest typically cost only $500. And to top off these positive results about the cost and benefits of workplace accommodations, the employers in the study also reported that JAN understood their needs and provided information that met their needs. In addition, 100% of employers stated that they would use JAN services again for assistance with workplace accommodations. What is the bottom line? Workplace accommodations are low cost and high impact, and JAN can help employers make them, free of charge. Finding #1: Employers want to provide accommodations so they can retain valued and qualified employees. Of the employers who called JAN for accommodation information and solutions, most were doing so to retain or promote (83%) a current employee. On average (including those persons who had just been given a job offer or who were newly hired), the employees had been with the company about seven years, with an average wage of about $14 for those paid by the hour, or an average annual salary of about $51,500. In addition, the individuals tended to be fairly well-educated, with 54% having a college degree or higher. Finding #2: Most employers report no cost or low cost for accommodating employees with disabilities. Of the employers who gave cost information related to accommodations they had provided, 410 out of 700 (59%) said the accommodations needed by employees cost absolutely nothing. Another 256 (36%) experienced a one-time cost. Only 25 (4%) said the accommodation resulted in an ongoing, annual cost to the company and 9 (1%) said the accommodation required a combination of one-time and annual costs; however, too few of these employers provided cost data to report with accuracy. Of those accommodations that did have a cost, the typical one-time expenditure by employers was $500. When asked how much they paid for an accommodation beyond what they would have paid for an employee without a disability who was in the same position, employers typically answered around $400. Finding #3: Employers report accommodations are effective. Employers who had implemented accommodations by the time they were interviewed were asked to rank the effectiveness of the accommodations on a scale of 1 to 5, with 5 being extremely effective. Of those responding, 75% reported the accommodations were either very effective or extremely effective. Finding #4: Employers experience multiple direct and indirect benefits after making accommodations. Employers who made accommodations for employees with disabilities reported multiple benefits as a result. The most frequently mentioned direct benefits were: (1) the accommodation allowed the company to retain a valued employee, (2) the accommodation increased the employee’s productivity, and (3) the accommodation eliminated the costs of training a new employee. The most widely mentioned indirect benefits employers received were: (1) the accommodation ultimately improved interactions with co-workers, (2) the accommodation increased overall company morale, and (3) the accommodation increased overall company productivity. The following table gives the percentage of employers who reported experiencing direct and indirect benefits as a result of having made an accommodation. Register for the nTIDE Lunch & Learn Webinar on Friday, June 2, 2017 at 12 Noon EST. Join us for our monthly webinar detailing findings of the latest Jobs Report release, announcements from the Disability Employment field, and a guest presentation. On the first Friday of every month, corresponding with the Bureau of Labor Statistics jobs report, the nTIDE Lunch & Learn Webinar will take place as a live broadcast via Zoom Webinar to share the results of the latest nTIDE findings. In addition, we will provide news and updates from the field of Disability Employment, as well as host an invited panelist who will discuss current disability related findings and events. The archived webinar will be available as a video as well as an audio-only download the following week. Join us for this 30 minute session when Regina Mayolo, Technical Assistance Specialist of the West Virginia Assistive Technology System, will discuss marketing accessible tourism and recreation to potential visitors of all abilities. Sixty percent of individuals with disabilities are over the age of 65, and these are not just your great grandparents. These are Baby Boomers - the same population that in the next five years will control 70% of the disposable wealth in this county. It is to everyone's economic advantage to capture this audience and to increase awareness of your location as a destination friendly to individuals with disabilities and those who may have changing mobility or sensory needs. The broad definition of Universal Design (UD) is the idea of producing buildings, products, communication and environments that are supportive of all people. In this 30 minute session, John Salmen, President of Universal Designers & Consultants, Inc. will discuss the evolution of the concept of UD, methods of accommodation using UD in architecture and in other elements, accessible design vs. universal design, and UD for aging in place. For more information and to register visit: What is Universal Design? These sessions will be archived for later listening. Did you miss one of our previous webinars? Check out our Archived Webinar page. The Mid-Atlantic ADA Center, operated by TransCen Inc., provides information, guidance and, training, to DC, DE, MD, PA, VA, and WV on the Americans with Disabilities Act.(ADA). The information, guidance and/or materials provided are intended solely as informal guidance. The Mid-Atlantic ADA Center is funded under a grant from the Department of Health and Human Services (HHS), NIDILRR grant #90DP0089-01-00. However, these contents do not necessarily represent the policy of the HHS, and you should not assume endorsement by the Federal Government. We are excited to announce that the preliminary agenda for the 2017 Conference and Biz2Biz Expo has been posted on our website! You will find descriptions for our five tracks of breakout sessions, workplace, marketplace, supply chain, professional development and technology and the Rising Leaders Academy. Please note, additional information about events marked “private” will be made available to USBLN corporate partners in the coming months. 24th Annual Mid-Atlantic ADA Update- TYSONS! The Mid-Atlantic ADA Update is the region's leading conference on the Americans with Disabilities Act (ADA), traditionally featuring speakers from federal agencies such as the U.S. Departments of Justice and Transportation, Equal Employment Opportunity Commission, and the Access Board. The program offers a variety of breakout sessions on topics ranging from accessible design to inclusive program planning and disability employment issues. The Mid-Atlantic ADA Center invites corporations, organizations and agencies to become sponsors, exhibitors or advertisers at the Mid-Atlantic ADA Update. Download our Sponsor-Exhibitor-Advertiser Package for more information and an application. Questions? 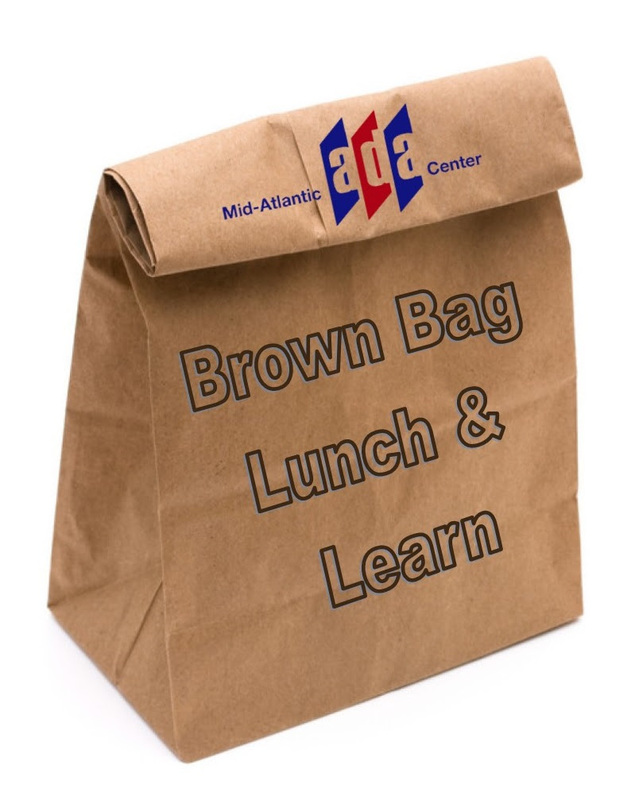 Contact the Mid-Atlantic ADA Center at ADATraining@transcen.org or call 301-217-0124.